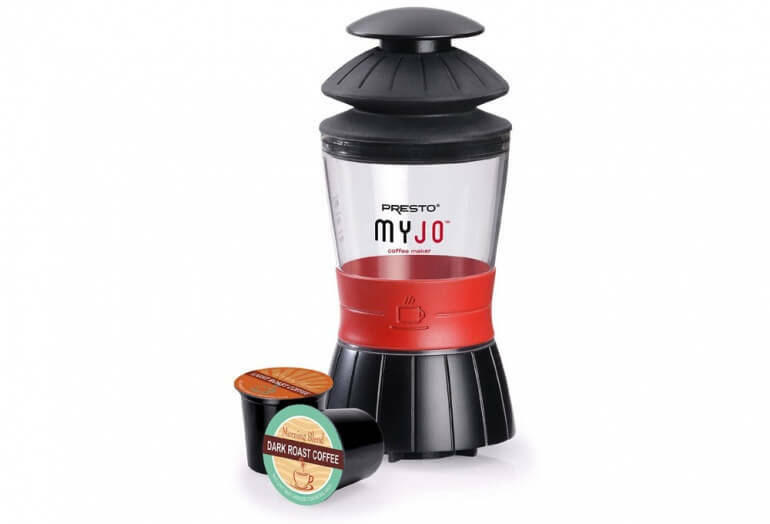 This single serving coffee maker uses hand pump technology coupled with K-Cup compatibility to make a perfect travel companion. 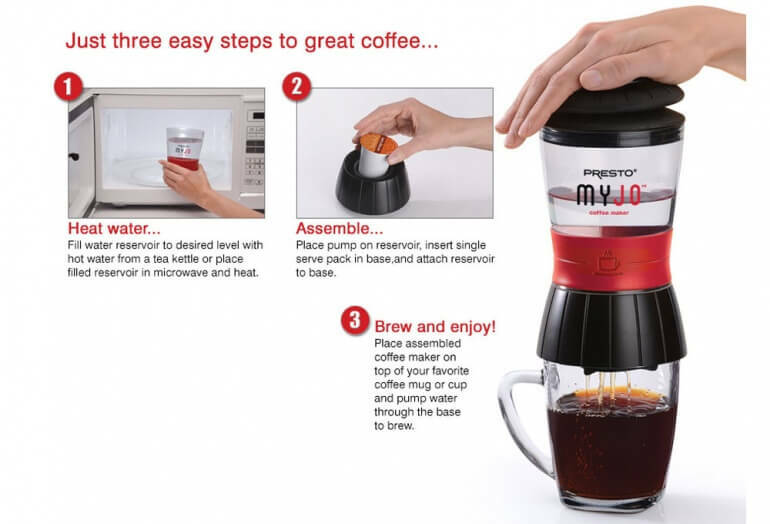 This single serving coffee maker is a simple, all-in-one device that covers almost every requirement for a travel coffee maker. 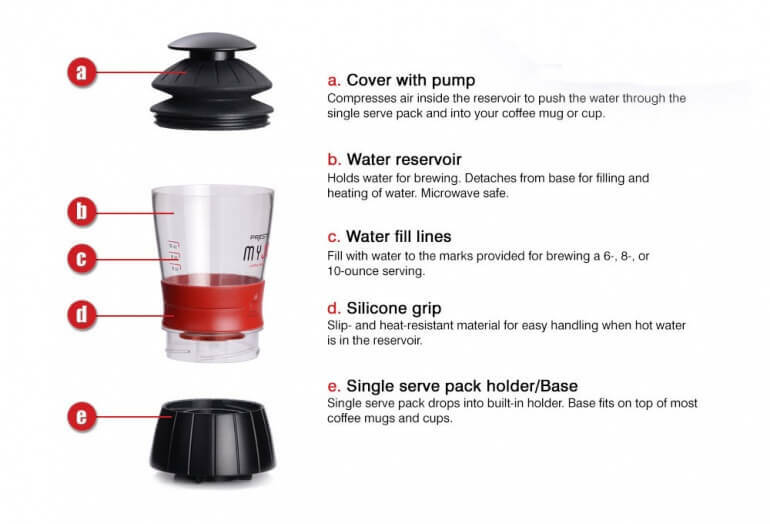 The design is simple, a 3 piece pump system pushes hot water through a K-Cup or reusable K-Cup filter, directly into your cup or mug. The cup-top brewer design is similar to what we've seen from the Aeropress. 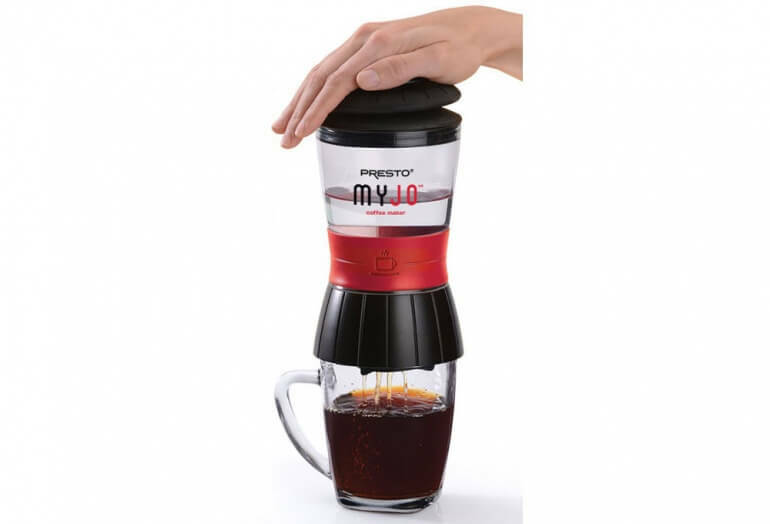 Heat water either externally in a kettle or on the stove top - or by filling the MyJo water reservoir and microwaving. Add a K-Cup or refillable K-Cup compatible filter to the black base. Screw the base onto the water reservoir and add the pump to the top. Place the brewer on top of your mug or cup and pump the coffee down into it. Cleanup is as simple as removing the K-Cup and rinsing the unit clean. The self contained filter system means that everything is contained and there are no additional consumed filters - all you need is coffee and hot water!